Adventure-hungry Miami foodies, for your sake, you should try some...sake? This Japanese rice wine may be an acquired taste for some, but beer and wine lovers looking for a new experience will get a sip of the unexpected with this unique drink. Unlike wine, which is produced by fermenting sugar found naturally in the fruit, brewing sake is more like brewing beer — but instead of separately converting starch into sugars and then sugars into alcohol, those two steps happen at the same time in the sake process. What does this mean? A whole 'lotta fun: Wine typically contains 9 to 16 percent in ABV, beer 3 to 9 percent, and sake at 15 to 20 percent. Yup, good luck after a few rounds. Convinced to give it a try? Well, you're in luck, because the Iron Chef-featured and award-winning Makoto Okuwa serves up his own private sake label in Bal Harbour. This owner of the eponymous restaurant, Makoto, on Collins Avenue was named as one of Miami Herald's 2016 South Florida Food 50. While Okuwa has focused on bringing up his upscale, elegant Japanese concept complete with sushi and robata-grilled dishes, he was looking for another finishing touch to perfect his vision. His answer? Sake. "I think there is a common misconception that sake is harsh. Good sake is actually very drinkable and close in ABV to wine. When it first came on the market in the United States, there were a lot of lower-quality sakes, and they were often served warm," Chef Makoto Okuwa said. "Now, as interest in sake develops, there are nicer and higher-quality sakes available. The more consumer education, the better the sake available. I think everyone who enjoys a drink would find a sake that they like." It took him two years to develop the Makoto Junmai Daiginjo, and since its launch last year April, guests have taken to this distinctively floral sake. The fact it is produced in Akita Prefecture, Japan, and at a 50 percent rice polish ratio adds to its local, authentic appeal, too. "Creating my own sake label was something I've always wanted to do. I wouldn't say that there was so much an ‘aha’ moment, as much as there was a long process of working along with the brewery — I even got to the point that I almost gave up before I got the last sample and thought, 'Yes, this is perfect,'" Okuwa said. Before he received a James Beard Foundation Outstanding Contribution Award and before he was named a New York Rising Star Chef, Makoto Okuwa fell in love with sushi at 3 years old. Ever since then, he's been on a roll. When he was 15, he apprenticed under sushi master Makoto Kumazak, and later on, flourished under the wing of the legendary sushi master Chef Shinichi Takegasa. After 10 years of training, he moved from Japan to the United States to further hone his craft. In Washington, D.C., he met Iron Chef Masaharu Morimoto, who quickly became his mentor and who soon asked him to take on the head sushi chef role in Morimoto's first American restaurant. From there, Okuwa continued to work closely with the celebrity chef, even competing on his team for multiple Iron Chef battles. Eventually, Okuwa even appeared on the show to compete on his own. In 2007, Okuwa opened his first restaurant in Manhattan Beach, Calif., Sashi Sushi + Sake Lounge, which received so many accolades that it even became a favorite of big-time celebrities like Jimmy Kimmel and Miley Cyrus. While Okuwa moved on from Manhattan Beach to Miami Beach in 2011 when he partnered with esteemed restaurateur Stephen Starr, he still remains a partner at Sashi. 1. Why do you personally enjoy sake? What makes a sake great? Makoto Okuwa: Sake is great because it is delicious and versatile. For guests looking for a nice sake, I think it would be best to start by trying the three basic filtered sakes — junmai, junmai ginjo and junmai daiginjo — and learn about your preferences. 2. What are the best qualities and components of your private sake label? 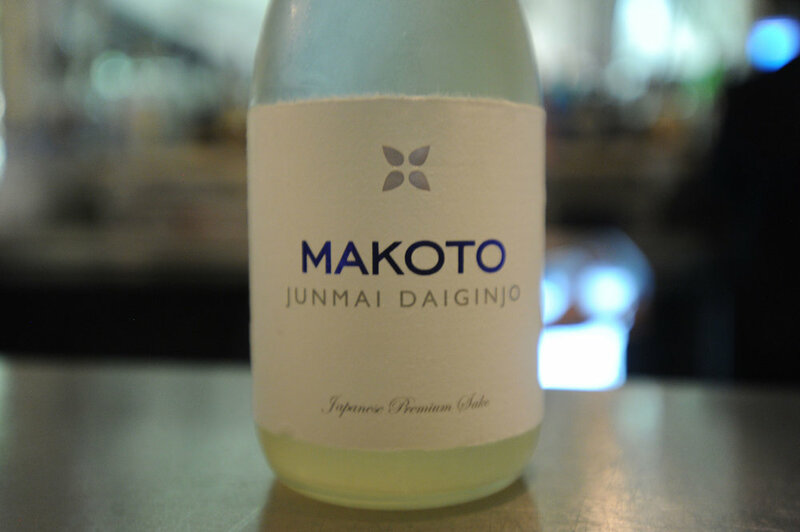 MO: The Makoto Junmai Daiginjo is a little dangerous because it is so drinkable and delicious! It is very nice because it was created in the cold-weather region of Akita and, as a junmai daiginjo, is among the most refined sakes available. It's light but still full-bodied enough to stand up to some of our heartier dishes. 3. 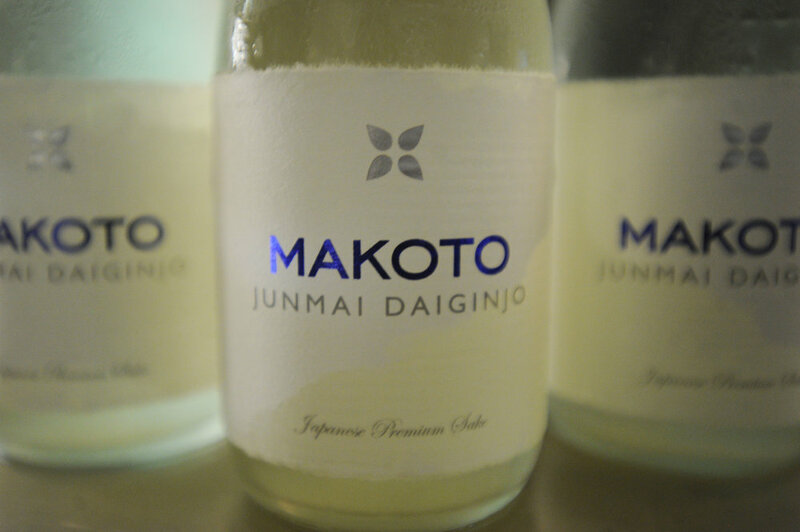 What challenges did you face during the two years it took to develop Makoto Junmai Daiginjo? And now a year later after your launch, what have been the greatest rewards? MO: It was difficult to find the exact balance we wanted to create for this sake. I am a perfectionist and so are our brewers. We went back and forth with many samples, and it takes a lot of time and money to ship those samples back and forth, as I am now based in the U.S. It has been great to see how well received the sake is, though. 4. What would you suggest your guests at Makoto pair it with? MO: The Makoto Junmai Daiginjo pairs well with everything on the menu, from sushi to robata-grilled dishes. It was important, to me, to create a sake that could carry the guest through the whole menu. 5. What are your future plans, both culinarily and with your label? MO: I'm always looking ahead. I'm currently in talks with some great chefs on charity collaborations and other fun things — stay tuned. As for the label, maybe we'll expand to other types of sake, or maybe we'll work on a craft beer here in the U.S. The sky is the limit.